I played V5 online in four games via G+ Hangouts and noticed the lack of a dice roller. We made due with the roller that comes with the chat, which did work. Update: A mistake in the labling of attributes has been corrected! Given the release of Vampire: The Masquerade 5th edition Markus W. created two character sheets für V5 after he finished his review. This is the first of a number of articles by three authors in total, which will be released within the next view days. Offering reviews, insights and opinions regarding the 5th Edition of Vampire The Masquerade. The articles over here will be written in English, if you are looking for articles in German, check WODnews.blog. Author: This article has been written by the administrator of this Blog, „Teylen“ whos real life name is Jennifer. I am a fan of the World of Darkness and Vampire: The Masquerade ever since I discovered the game line in the early 2000s. My love for the game line motivated me to start travelling on my own ever since 2011, to move from being just a player to running games, to discover other tabletop rpg games and meet a lot of people. To actually be granted to access to the PDF was a very exciting moment. I do follow all activities by White Wolf closely and specially those regarding the newest edition of Vampire: The Masquerade, my personal favorite game line. The experience with running the playtests, the information I gathered saw me quite excited towards the new edition and thus I’ve been in positive anticipation of the new core book. It is as well the first review copy I did ask for, read in full and wrote a review for and it is the first cooperation with two fellow Vampire: The Masquerade enthusiasts. The full-colored core book PDF spans a total of 407 pages, including front and back cover. The text is presented in two to three columns and for the majority black on white, layout elements like various backgrounds are used in moderation and generally enhanced the reading experience. While I rarely read longer PDFs and usually do prefer physical books, I enjoyed the presentation and read about 90% of the book within a day. There were only a few instances in which the layout threw me off a bit. Yet it happened late in the evening into the night and it was linked to my decision to read the document in single page. The illustration are a combination of model photography, hand drawn illustrations from the World of Darkness MMO projects, pictures of city scapes, pictures and illustrations by a variety of artists. The art direction combines those illustrations and the layout into an atmospheric, cohesive frame that has not only been easy to my eyes, but impressed me. The look is distinct and one of the best, if not the best, of my tabletop rpg collection (shelfies at fB). The cover does break with the previously established marbled green, yet it did grow on me once I gave my preconceived notions in regards of looks a time out. Following the table of contents the book presents the reader with almost 30 pages filled with a variety of „in game“ notes. The information presents an interesting insight into the World of Darkness and will familiarize the reader with the world as well as the tone of the book. Something the reader might notice that the narrator can be considered as unreliable, as a status report by hunters, as well as the commentary provided by a kindred, are set into perspective by further text within the book. Following those excerpts the next two chapters talk about Concepts, which explains the World of Darkness in broad strokes and talks about tabletop role-playing and Kindred Society which talks about the world as well as the lore. Clans introduces and describes seven bigger vampire families who share a common ancestor and traits as well as Caitiff and Thin-Blooded. While Caitiff are vampires who do not share the common traits of their creators family, Thin-Blooded are vampires who barely qualify as such which both has its pros and cons. Rules explain the general systems for conflict resolution and combats and the following chapter about Characters goes into detail of how to create a player character. I really did like to read the rules beforehand, as it provided a good foundation for thinking about ones potential character. Vampires talks in detail about what Vampires are, how they ‚work‘ as creatures, what they can do, how blood affects them and how the humanity system work. It is followed up by Disciplines, which are the powers either inherent to the blood of a Vampire or within its capabilities. One might note that Thin-Blood Alchemy is a new trait presented. Advanced Systems offers advice how to do scenes and offers a variety of rules for various situations. The options do include advice how to add complexity to ones game, as well as how to simplify a session. I personally preferred the more complex rules. Cities and Chronicles are chapters meant to aid the storyteller (gamemaster) in designing both. Talking about what aspects to consider for ones city by night, how to tailor chronicles to various playstyles. I personally liked the variety of playstyles offered in the examples. Tools provides writeups for antagonists, mortals, other creatures creatures as well as gears and the loresheets. The book concludes with the Index, after that you’ll find the character sheet and a table for various mortals within the night. The core of the system remains the same. To perform an action and achieve something the player builds a dice pool of 10-sided dice consisting of an attribute and a skill, and attempts to score a certain number of successes. The player or rather the character may decide to spent willpower to change the odds in their favor. Something that did change is that the target number is always at a 6 and the difficulty is described by the number of successes. The rule of the 1 has been removed, and a success once rolled won’t be taken away. Yet, if someone manages to roll a pair of 10s the success is doubled. The core system should be easy to understand, accessible and not to simple. Except from willpower there aren’t any extensive meta-game resources. The biggest innovations happened to the fashion in which blood is handled as well as in how humanity is addressed. The previous „blood pool system“ has been replaced with one that tracks how hungry the vampire is. Instead of bookkeeping ones blood intake and expenditures the hunger system looks at whether or not an action fueled by supernatural feats increases the characters hunger. 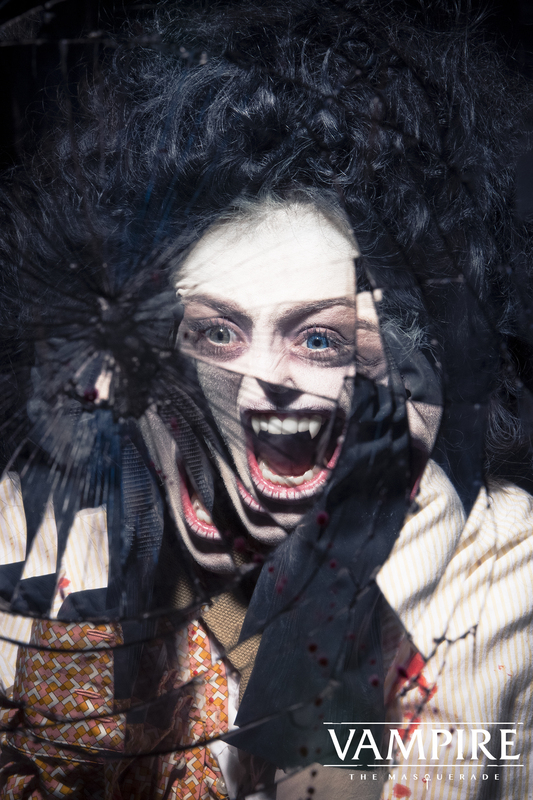 If the character is hungry, which is quite likely for a vampire, as only killing sates the hunger for a night, there is a certain risk that the hunger manifest either in a compulsion to act in a certain fashion or in a messy critical. The later indicates that the beast „helps“ with an action, yet does it in a bestial manner. The humanity system which previously relied on a 10 level scale of sins became more flexible. The group will set about 3 tenets which apply to a chronicle and a player sets 3 of those, called convictions, linked to a human touchstone for their own character . If the character acts against the tenets, convictions or if the touchstones is hurt, stains are amassed and once there is enough stain the overall humanity might decrease. Among the smaller innovations or rather addition you’ll find various gems. Like Memoriam, a system with whom one might play flashback scenes of a character, to explain how the more current version acquires a skill. Like Thin-Blooded Alchemy, which allows thin blooded vampires to, colloquially put, create discipline effects „Walter White“-style. Overall, I do like the various systems. They are not overly complex, they are fun, intuitive and I am really looking forward to see them in a game. From my experience with role-playing games they should be accessible to both established and new players. Though I do see some challenges as well. Like the XP system which appears to give notably less XP for stuff that does cost more, or like the combat system, where I would like to see how effective vampire still is. Yet those are minor quivels with potential easy fixes (e.g. „give XP like candy“, „allow skills to be raised after a session“). The setting has remained the same, yet progressed in time with some events that shook the status quo. The most significant event is the fact that the masquerade broke. Not in a cataclysmic event that revealed vampires at large, yet intelligence services and certain parts of governments learned about the existence of leeches. This happened because vampires tried to exploit intelligence services for their own device, but gravely underestimated human. It led to military supported vampire hunters and the NSA surveilling the net for suspicious activities, according to vampires the Second Inquisition. Another consequence was that the headquarters of Clan Tremere in Vienna got blown up, and London got cleaned of all vampires. As a consequence the first two continent-wide conventions since Thorns were held to address to reconcile the Camarillas next actions, yet given bad blood brewing one of the conventions went a south, at least two old and powerful vampires met their final death and a good chunk of Clan Brujah followed Theo Bell to the Anarchs. The Clans had to adapt and some changed more than other. The core book does give a good impression on who stands where and how, yet it leaves a craving to know more about the details. In general the seven clans largely maintain their characteristcs. The remaining six clans got very small writeup, the Banu Haquim (Assamites) and the Ministry (Setites), received the biggest hints about what’s up with them. In my opinion the setting is very engaging, feels like players can move stuff and actually be relevant, and like things aren’t set as much in stone anymore. It should be accessible to new players and leave room to breath and to form ones World of Darkness, without lacking identity. I do really like the Second Inquisition and the fresh Anarch Revolt. Specially the latter, as it feels like the Anarchs can be portrayed more than some stupid youngsters who will fail and join a „real vampire sect“ once grown up. Though there are aspects I don’t fancy as much. I am personally not a fan of either the limitation of modern technology or limitations in regards to globalization for characters. Yet it might be easily retconned and was partly ingrained in previous editions. As a fan I was utterly floored by the two and a half mentions of my favorite clan and do sincerely hope that future books will show that… it was a really very unreliable narrator. My hope was and is that the 5th Edition of Vampire: The Masquerade would be attractive to new players. Consequently a question would be how the book fares in this regard. I personally think it is a good book for anyone who likes to take a look at Vampire: The Masquerade. The setting is presented in a fashion that allows an understanding of the World. It doesn’t require or puts forth a drowning amount of lore and backgrounds yet hints at enough that one may like to explore. The structure in regards of Clans and two factions is easy to grasp. The system is accessible, intuitive and can be suited to ones own designs. The collaborative character creation as well as the design of a chronicle’s humanity should facilitate a good game. The advice about how to setup a city and create a chronicle is good. Overall I do think the advice how to run the game should help to create an intriguing horror experience. For those already playing RPGs, the game should play mostly traditional. The only meta-resource of note is willpower. The characters have ambitions and desires to regain willpower, yet that element should be digestible – and could be replaced by nature/demeanor at a whim. The tenets might prove a bit of a challenge, yet a small one. I do recommend it for experienced Vampire: The Masquerade player. The system as well as the setting remained at its core distinctly and recognizable Vampire: The Masquerade. The system is streamlined, well interwoven, can still be bent and looks fun. It can be fun as in a „fun experience“ as well fun as in a „horror experience“. The setting is still intriguing, the lore more than solid, the metaplot interesting and the current plot worth exploring. There will likely be things one doesn’t like, yet, one may either hope on a very dastardly unreliable narrator, or create ones own smaller changes. Like one, where the Tremere didn’t experience a trifold split at the top or one where Hardestadt and Pieterzoon are still well up and around. 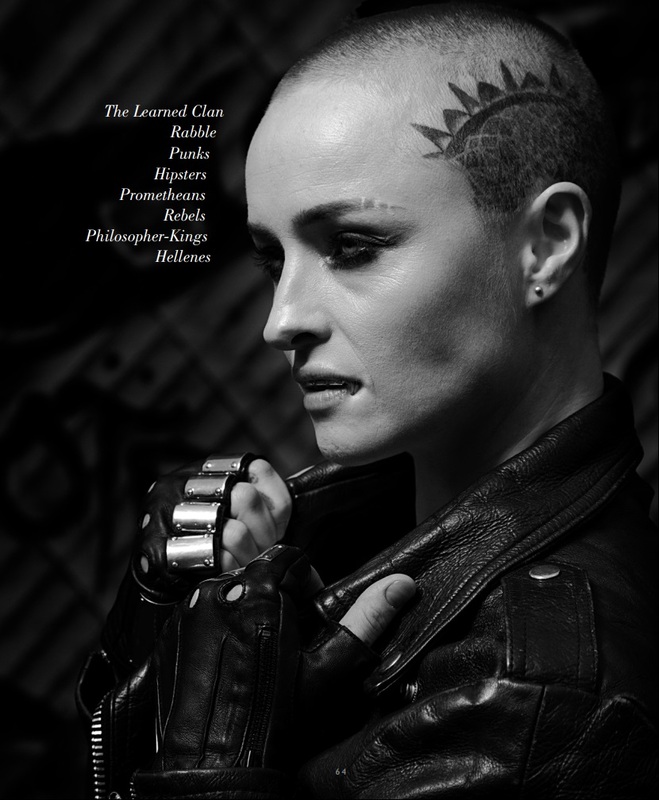 In regards of characters, the book provides everything one needs to create a Vampire of Clan Brujah, Gangrel, Malkavian, Nosferatu, Toreador, Tremere, Ventrue, a Caitiff or a Thin-Blood. 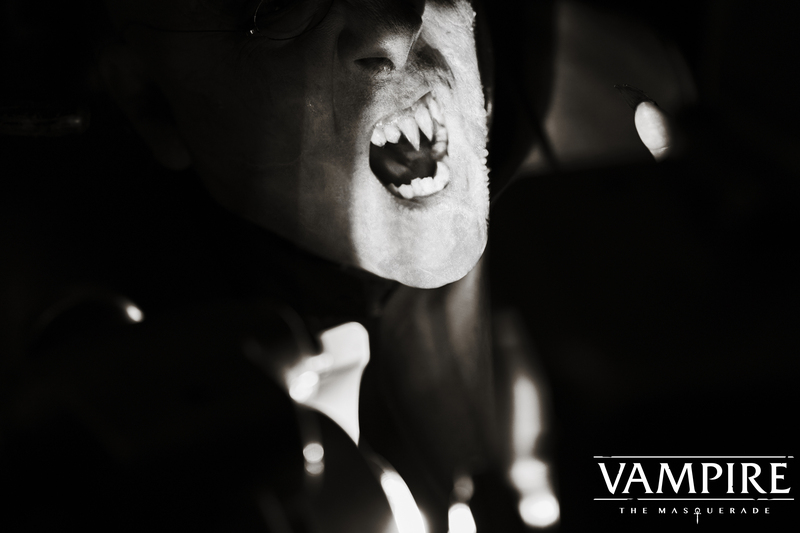 The core book offers rules and support for player characters who are Ancillae – Vampires who are a few centuries old – or younger, it provides rules to use Elder as non-player characters. Where to get it: You can pre-order the game via the Modiphius webshop. You can check alternatively an online retailer like Sphärenmeister Spieler, who offers reduced costs for shipping. Alternatively you might check with your FLGS whether they would order it for you. If you are at GenCon you can buy a physical copy at the White Wolf and at the Modiphius booth. You can buy the PDF starting August 2nd at WorldOfDarkness.com. 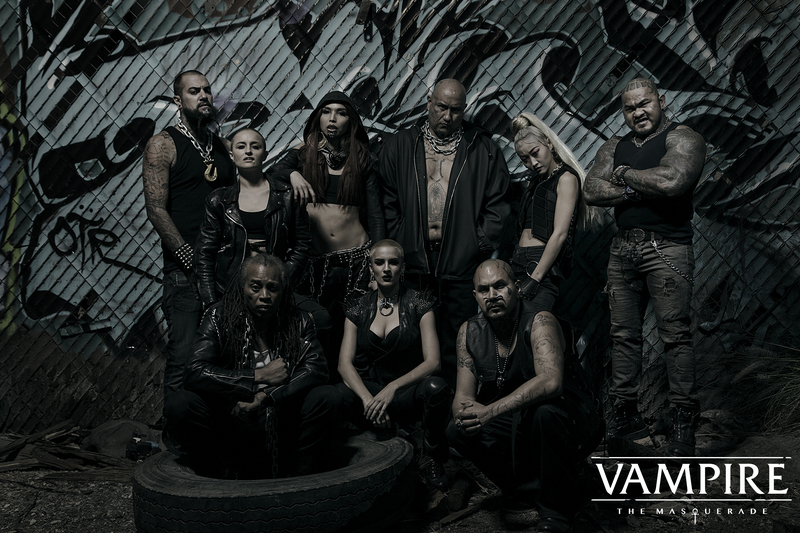 Disclaimer: This article is based on the review PDF of the Vampire: The Masquerade core book by White Wolf Entertainment. The core book PDF has been made available for use within this blog for free. Since 28.04 the pre-order for the 5th edition of Vampire: The Masquerade (V5) via the Modiphius website started. I’d like to use this article to explain and show what you can get, offer advice and answer potential questions. If you prefer to read the article in German, just click the link to my blog WODnews. Which products for V5 are offered? Which bundles for V5 are offered? Are there alternatives to a pre-order at Modiphius? How can one save money (at Modiphius)? What about the foreign currency? Where are the shipping costs? Oh my god, the shipping costs: Help!? When will the pre-order stop? Those who interacted with me, or followed my activities, might have noticed that my favorite Vampire Clan in Vampire: The Masquerade is Clan Giovanni. Which is indeed my favorite Clan by far. While I don’t examine all the things I favor in regards of why I do like them, I did contemplate my inclination towards the Giovanni as well as examined my perspective. There might be several reasons why I did that. The fact that I did receive the question „Why did you, and how could you, chose this Clan as your favorite?“ several times in various version. The aspect that people will highlight a negativ viewpoints of the Clan; which might draw or invite the conclusion that it is immoral to chose it as ones favorite. The personal aspect that I do enjoy pondering my favorites, which most recently expressed itself by the fact that I remembered the 4th of April better than I did the (German, Roman Catholic) customs regarding Easter Monday. Mit dieser kleinen Serie mag ich meine Gedanken zu verschiedenen V:tM Clans und Musik teilen. Als erster Clan erwischt es hierbei die Malkavianer. Seit gestern, Mittwoch den 06.09., kann man den V5 Alpha Playtest auf WorldOfDarkness.com kostenlos als PDF herunterladen. Hierbei gibt es einmal die V5 Alpha Playtest Regeln (45 Seiten), vorgefertigte Spieler Charaktere (6 Stück, mit jeweils zwei Seiten Hintergrund und einem Charakterblatt) sowie dem Szenario „Rusted Veins„ (28 + 2 Seiten) neben der Bitte Feedback zu geben.